The rights of students have been a topic of debate over the past year at Concordia University. First, the question was whether students can strike. Now, the Concordia Student Union is challenging a university bylaw that could prevent students reprimanded for striking from sitting on the Board of Governors and Senate—two of Concordia’s most important decision-making bodies. 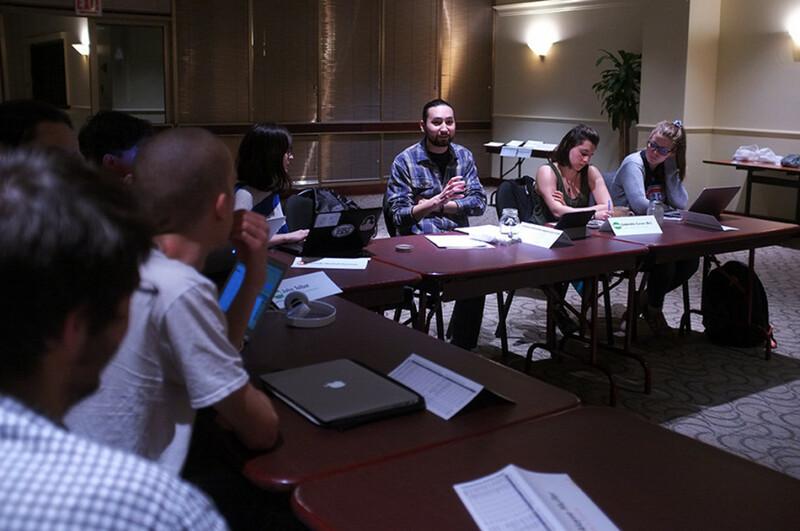 On Wednesday night, the CSU council passed a motion demanding that Concordia change the bylaw in question, which would also prevent students with formal disciplinary charges from serving on other committees. The motion stated legal action will be taken if the bylaw is not altered in accordance with Quebec’s act on accredited student associations. Article 32 of this law says that student associations like the CSU “alone” have the power to decide who sits on these university bodies. “[The law] makes it very explicit the autonomy lies with the student association to make the judgment call,” said Terry Wilkings, general coordinator of the CSU. The university bylaw is being scrutinized because as many as 22 student-protesters have recently received letters of reprimand—the lowest form of consequence—from independent tribunal panels for disrupting classes in last spring’s strikes. Given that these students are also undergraduate leaders, the letters of reprimand will prevent them from representing students—despite being appointed to do just that. Wilkings met with university president Alan Shepard on Thursday afternoon to discuss the matter. Shepard, in an interview on Wednesday, said he informed the CSU he would review the bylaw. He had no comment on any pending litigation. Wilkings is also planning to meet with Frederica Jacobs, secretary general of Concordia, to find possible informal resolution. She explained that the language in the bylaws will be reviewed to make it clearer, but any student who saw a charge upheld by a tribunal will not be eligible to sit on the various university bodies next year. The CSU has been researching eligibility rules for other universities throughout Quebec, Wilkings said. According to him, they have found that Concordia is the only institution to have a bylaw preventing students with a disciplinary charge from serving on various bodies.